Sustainability is about protecting the natural resources and maintaining the environment clean. The most sustainable countries are those which protect what their ecosystems give. There are many countries in the world which have taken more from nature than they could ever give back, affecting the supply of natural resources. Carbon dioxide emissions, soil erosion, and deforestation are only a few of the human-made activities which affect the environment. Our planet lost its capacity to regenerate due to exceeded human consumption. In 2014, statistics indicated that 86% of the globe’s population live in countries where people require more natural resources than the ecosystems can offer. The Global Footprint Network claimed back then that if every people in the world were to adopt Americans’ lifestyle, it would take four different Earths to sustain the global population. Even if many countries have already adopted the ecological footprint model, we still have a long way to go until the results show up. In sustainable countries, the resources, and energy that every person uses raise awareness regarding the environmental problems. Furthermore, they educate people about resource demand. In what follows, we will introduce top 9 most sustainable countries in the world. They have all adopted ecologically sustainable policies. Colombia is one of the most biologically diverse countries in the world, being home to 10% of all the species in the world. In the early 2000s, the country had a high rate of deforestation, being criticized for losing 200,000 hectares of natural forest every year. Nevertheless, the country worked hard to become a leader in ecologically sustainable development. The government supported ecosystem restoration projects like biodiversity recovery and erosion control. Switzerland has adopted green policies even if its resources are constrained because of the geographical location. The country developed some innovative environmental management practices, and it has transformed in one of the most sustainable countries in the world in terms of habitat protection, biodiversity, and climate change. This country has one of the densest rail networks in Europe. Furthermore, they offer free recycling services as they charge for garbage collection. Approximately 30% of the country is covered in forests, offering a lucrative timber industry. The country uses hydropower plants to produce half of its domestic electricity. Luxembourg is listed among the wealthiest countries in the world that also has the smallest population. This country achieved the international target of the Convention on Biological Diversity by protecting 17% of terrestrial habitats. Its sustainable development plan proved to be very effective, monitoring the sustainable development indicators. The country increased the subsidize for solid biomass and biogas in order to work on developing future biogas and hydro installations. This tropical country is one of the most sustainable countries in the world due to its rainforest conservation programs. The government is dedicated to preserving the water systems and the forests. Hence, 25% of their land is protected as national parks and reserves. 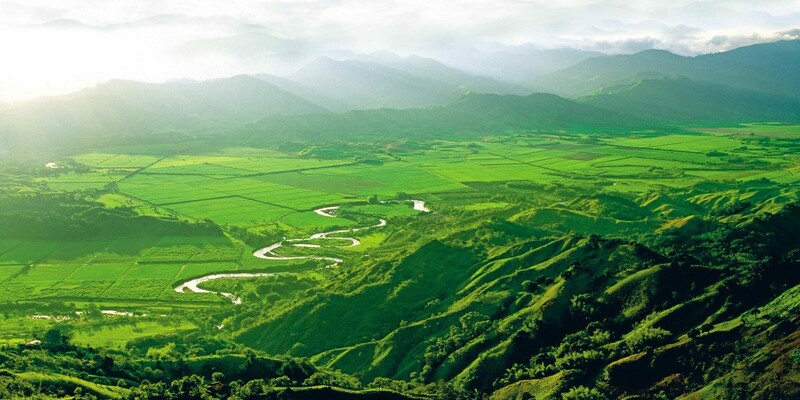 The United Nations indicates that Costa Rica uses renewable energy sources to produce over 90% of its electricity. They mostly use geothermal, hydroelectric and wind power. All their energy fees, gas tax, and vehicle stamp duty are used for air-water protection programs and natural resource management. The nation improved its sustainability performance by maintaining more than 10,000 plant species and 800 butterfly species. 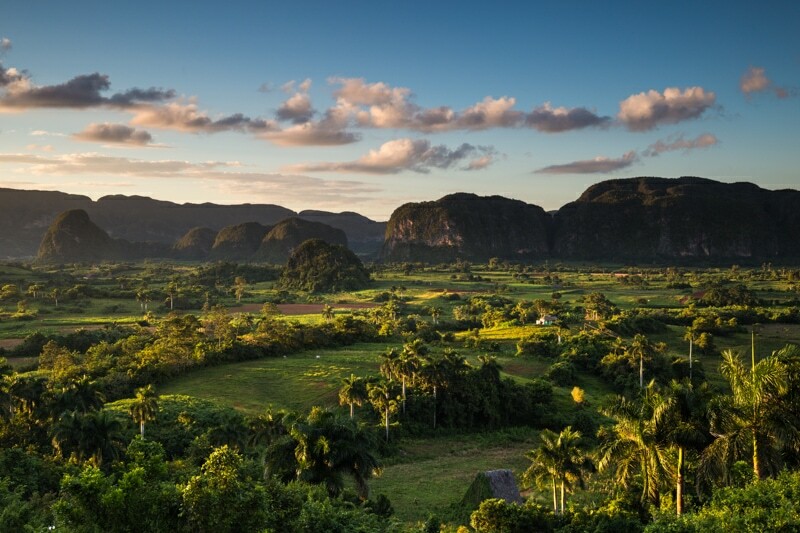 Cuba protects the environment and preserves its natural resources while it diminishes the greenhouse gas emissions. Sweden is an ecological-friendly performer especially when it comes to water management, forestry, and environmental health. The nation uses renewable energy sources, implementing green government policies and having low greenhouse gas emissions. The International Energy Agency indicates that 44% of the energy in this country comes from renewable sources. Every ministry in Sweden has certain tasks that enforce clean energy sources. They ensure high-quality healthcare services and eco-friendly public transportation. Furthermore, Sweden also implemented a carbon tax to discourage the use of fossil fuels. The environmental performance index (EPI) of Iceland is high due to its sustainable development policies related to climate change. The country has a clean energy economy, and they also have limited greenhouse gas emissions. Iceland altered its energy system in such a way that they use renewable energy sources to produce electricity and also for heating. Due to its abundance of rivers, they mostly use hydroelectric power and their geothermal reserves. The country has a low level of air pollution and a high water quality. Furthermore, the farming sector is more diversified due to their greenhouse agriculture. Hence, the country has a domestic production of pepper, cucumber, and tomatoes. The country had to deal with a congested population which surpassed 5 million people who lived on a 671-square-kilometer radius land mass. The country needed to focus on resource consumption by developing some land use planning measures. Singapore made progress related to energy regulations and climate change. The EPI score in 2014 was very high for Singapore, highlighting sanitation, air quality control, and wastewater treatment. Germany has a renewable energy transition program called Energiewende. However, they have received some critics indicating the high costs of the country’s economy and the use of nuclear energy which increases greenhouse gas emissions. In 2014, the country produced 28.5% of its energy using renewable sources. This country grew to be Europe’s green leader. Its plans regarding its sustainability rely on producing energy only through the use of wind, solar, biomass and hydro energy sources. Cuba supports the development of its sustainable agriculture and architecture which started back in the early 90s. Back then, the country started working on a long process related to environmental performance. In 2006, the World Wildlife Fund Living Planet indicated that Cuba was the only sustainable country in the world. The persistent and effective management of the natural resources deployed by the government over the years helped the country get the status it has today. All these countries are listed as being some of the most sustainable countries in the world, protecting the environment and diminishing the use of fossil fuels. Furthermore, they also diminished air pollution and engaged in the protection of plant and animal species. Their governments imposed measures to protect natural resources and use more renewable energy.